Confirming a supernova explosion in the neighbourhood of our solar system, physicists at the Technical University of Munich (TUM) in Germany and colleagues have found supernova iron found on the moon’s surface. They succeeded in demonstrating an unusually high concentration of radioactive 60Fe isotope – created almost exclusively in supernova explosions – in lunar ground samples. 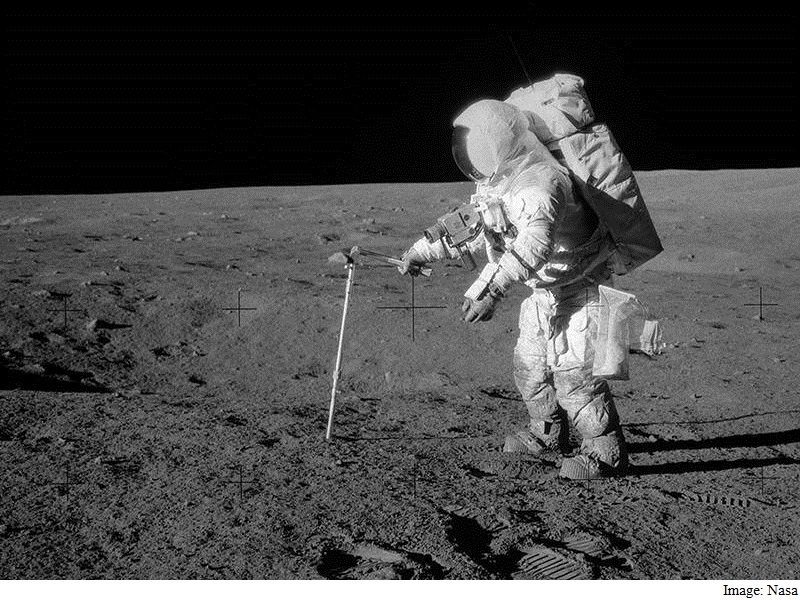 The samples were gathered between 1969 and 1972 during Apollo lunar missions 12, 15 and 16 which brought the lunar material back to earth. Since the moon generally provides a better cosmic record than the earth, the scientists were also able to specify for the first time an upper limit for the flow of 60Fe that must have reached the moon. “The measured 60Fe-flow corresponds to a supernova at a distance of about 300 light years,” said Dr Gunther Korschinek, physicist at TUM, in a university statement. With a half-life of 2.62 million years, relatively short compared to the age of our solar system, any radioactive 60Fe originating from the time of the solar system’s birth should have long ago decayed into stable elements and thus should no longer be found on the earth. This supernova hypothesis was first put forth in 1999 by researchers at the TUM who had found initial evidence in a deep-sea crust. It’s also conceivable that 60Fe can occur on the moon as the result of bombardment with cosmic particles since these particles do not break up when colliding with air molecules, as is the case with the earth’s atmosphere. Instead they directly impact the lunar surface and can thus result in transmutation of elements. “We therefore assume that the 60Fe found in both terrestrial and lunar samples has the same source: These deposits are newly created stellar matter, produced in one or more supernovae”, explained Dr Korschinek.